The Human Life Review Hijacking Immigration? The myth that human beings are “overpopulating” the earth, which has persisted for centuries, is rooted in a fundamental misunderstanding of human activity, economics, and natural science. Numerous political elites have promulgated the overpopulation myth in pursuit of various big-government policies both in their home countries and around the world. People like Thomas Malthus, Paul Ehrlich, and Margaret Sanger have sought various “remedies” for this false crisis, “solutions” which devalue human life—abortion, sterilization, and euthanasia—and promote government control of economic activity. Often the radical nature of these proposed “solutions” has led advocates of such policies to couch their ideas in terms of helping the world’s poor and concern for the environment. But a lesser-known story is that over the last 40 years in the United States, many leaders of this movement have hijacked concerns over immigration to advance their agenda. Population-control advocates have built, operated, and funded much of the anti-immigration movement in the United States. What follows helps explain how this has happened and sheds light on the pervasive connections between the population- control movement and the principal proponents of immigration restrictions. Thomas Malthus (1766-1834), the godfather of population control, summarized his pessimistic view of population growth as follows: “The power of population is indefinitely greater than the power in the earth to produce subsistence for man.”1 In response he considered the checks on population: Disasters such as disease, war, and famine raised the death rate, while birth rates could be lowered through abstinence. To Malthus, checks on human population were the only way to raise the standard of living for those remaining. However, industrialization and rapid economic growth during the nineteenth century proved his pessimism wrong by allowing an increasing population to support itself. Sanger’s writings contradict themselves and it is often difficult to determine whether she was being extreme to make a point. For instance, one of her most famous observations was that “the most merciful thing that the large family does to one of its infant members is to kill it.”11 She suggested that, given the high death rates for older poor children, perhaps killing younger ones and sparing them a sickly childhood in which they would eventually die of malnourishment would be preferable. But several chapters earlier in the same book she had written, “it is apparent that nothing short of contraceptives can put an end to the horrors of abortion and infanticide.”12 While Sanger’s motivations in the context of this specific book may appear to be unclear, what is clear is that her life’s work is nearly synonymous with abortion advocacy. Later in the 20th century, the population-control movement found a new flag bearer in Paul Ehrlich, whose opposition to population growth was fueled by concerns about the environment. Harking back to Malthus, Ehrlich’s 1968 book, The Population Bomb, predicted huge famines and dire environmental disasters due to population growth. Ehrlich called for “compulsory birth regulation . . . (through) the addition of temporary sterilants to water supplies or staple food. Doses of the antidote would be carefully rationed by the government to produce the desired family size.”13 One of the founders of Zero Population Growth (ZPG) in the U.S., he is currently a key supporter of the British group Population Matters, an organization that continues to examine population and the environment and includes “family planning” as a key part of its mission. Ehrlich has been proven spectacularly wrong, but that has not diminished his zeal for controlling the world’s population. In 1980, economist Julian Simon, whose work, The Ultimate Resource, showed that human well-being and environmental quality have improved as the world’s population has grown, challenged Ehrlich to a famous bet over the latter’s claim that resources were becoming scarcer. Simon and Ehrlich agreed to wager on whether the price of five metals—chromium, copper, nickel, tin, and tungsten—would rise or fall, in real terms, after a decade. The prices of all five metals fell and Simon won the bet. There is much disagreement among social conservatives on the issue of immigration—which is natural. Many are alarmed about the flouting of American laws and the other negative aspects of illegal immigration. The modern American population-control movement is dominated by the Federation for American Immigration Reform (FAIR), Center for Immigration Studies (CIS), and NumbersUSA. These population-control groups have wisely sought to appeal to American conservatives in pursuit of one of their stated policy goals: To limit all immigration into the United States.18 They have been so successful that many columnists and editorials refer to them as some derivative of “quintessentially American.”19 In reality, however, they reflect a very dark side of American history. The opinions of the abortion and population-control movements are dominant among the founders, funders, and board members of FAIR, CIS, and NumbersUSA. They represent the direct modern continuation of the 1960s and 1970s population-control movement—in many cases the same people involved in that movement decades ago sit on the boards of these three organizations. Of course, not everyone concerned about immigration advocates population control, abortion, or sterilization. However, the evidence shows that the primary leaders and funders of the anti-immigration movement were drawn to it because they were also active organizers and supporters of, and contributors to, the population-control movement in the United States. This should give pause to pro-life advocates who might consider collaborating with groups such as FAIR, CIS, and NumbersUSA on the issue of immigration. Once one scratches the surface, the whitewashing, rebranding, and slight refocusing of the most radical side of the green movement—advocates of population control, abortion, and family planning—is striking, and stands diametrically opposed to the pro-life cause. An ophthalmologist and eye surgeon, Tanton served as a board member of the Washtenaw County League of Planned Parenthood from 1961 to 1964.23 He then co-founded and organized Northern Michigan’s first Planned Parenthood clinic in 1965, serving as its president from 1975 to 1978 and as the legislative chairman and head of public affairs for the Planned Parenthood Council of Michigan.24 In 1968 he co-founded Michigan Women for Medical Control of Abortion and served as its president until 1972.25 He was the national chairman of the Sierra Club population committee from 1971 to 1974, a national board member of Zero Population Growth from 1973 to 1978, president of that group from 1975 to 1977, and chairman of its immigration study committee from 1973 to 1975. • 1971-1974: Chair, National Sierra Club Population Committee. • 1980-1990: Board Member, Population/Environmental Balance (formerly Environmental Fund). • 1982-present: Founder and Chairman, U.S. Inc.
Tanton believed that the human population must be limited to protect the natural environment. As he explained in a 1991 letter, U.S. Inc. “see[s] the number of people as the multiplier in many environmental problems where the formula is: Impact/Person x Number of People = Total Effect. Our goal is to keep the multiplier down, rather than working on the multiplicand.”35 The multiplier in Tanton’s equation is the number of people. U.S. Inc. has also given small donations to less well-known population- control organizations such as Floridians for a Sustainable Population and the Treferig Cottage Farm Press. But from Planned Parenthood of Northern Michigan to NARAL to FAIR, there is a clear pro-population-control agenda behind the allocation of U.S. Inc.’s money. Three of the five directors of U.S. Inc.—chairman John Tanton, vice-chair Mary Lou Tanton, and director David Irish—are openly committed to population control through abortion, family planning, and curtailing immigration. FAIR is the most prominent and successful of U.S. Inc.’s creations. With some notable exceptions, FAIR’s board of directors, national advisory board, and staff include many population-control, pro-abortion, and forced-sterilization advocates. Their statements and membership in other pro-abortion population-control groups reveal their true ideological allegiances. FAIR’s companion website Fairdebate.org is even more extreme. The subheading for Fairdebate.org is, “Immigration and Overpopulation: Big Issues, Big Debate, Join In.”62 A poll on the side of the homepage asks, “Has overpopulation contributed to habitat destruction in the U.S.?” taking for granted that the nation is already overpopulated.63 The banner headline reads: “More People: Higher Carbon Footprint” and an advertisement below warns “US Population Growth Will Make 2050 Emission Cuts Hard.”64 FAIR believes that the human population must be decreased to accomplish environmental goals. Quinacrine testing took place mostly in the developing world.91 Drs. Elton Kessel and Stephen Mumford were the foremost doctors advancing this population-control scheme. According to one report, the result of the quinacrine campaign is a “mass-sterilization program affecting thousands of women, but involving limited health-related follow-up. . . . In addition, some women seeking routine gynecological care have been sterilized without their knowledge or even against their will.”92 Quinacrine sterilization involves the insertion of chemical pellets that produce scar tissue in the fallopian tubes, sterilizing the woman permanently. As was revealed in 1999, “Financial support for Mumford and Kessel’s work has come largely from anti-immigration groups such as FAIR as well as the conservative Scaife Family Foundation.”93 SFF is a major funder of FAIR and Tanton’s other groups and programs. Family Health International (FHI) began in 1971 and was originally called the International Fertility Research Program (IFRP). Begun with funding from the U.S. Agency for International Development (USAID), its goal was to use science and research to introduce contraceptive, sterilization, and abortion technology in the developing world. IFRP grew so rapidly that by 1978 it was operating in 47 countries. It expanded into all aspects of family planning and was renamed Family Health International in 1982.121 Today, it is USAID’s oldest and most highly funded population-control NGO. FAIR advisory board member Donald A. Collins is on the board advisory committee for FHI. To further advance that goal, in 2009 WF gave $20,000 each to ISAF, Ipas, and the Population Media Center (PMC).145 The last was to insert reproductive and environmental propaganda into popular Brazilian soap operas.146 WF also funded the Alliance for a Sustainable USA, Catholics for Free Choice, National Family Planning and Reproductive Health Association, PMC, Ipas, and CAPS.147 Some other environmental groups funded by WF are the World Wildlife Fund, National Wildlife Federation, Rainforest Alliance, and Conservatree.148 WF and Alan Weeden have also given significantly to FAIR: a total of $49,000 from 2002-2008, as well as $40,000 to the Immigration Reform Law Institute, the legal arm of FAIR. Many FAIR board and advisory-board members either serve on or contribute to abortion-supporting political action committees (PACs). The majority of political donations made by the vice president of FAIR’s board, Henry M. Buhl, are to Republican PACs and politicians, but he also gave $2000 to the Women’s Campaign Fund (WCF) in 2000.155 WCF seeks to protect and expand abortion access in the United States. Since 1985, when Tanton, using his position at FAIR and U.S. Inc., created CIS, it has attempted to become the scholarly face of the immigration restrictionist establishment.162 CIS is supposed to “[b]uild the intellectual basis for immigration law reform”163 by supplying information to FAIR and other anti-immigration activists. The same environmentalist, abortion, and population-control ideology permeates CIS, its funders, and founders. Tanton’s own writings to donors and others contradict Krikorian’s statement. As noted earlier, Tanton told Cordelia Scaife in a letter that “For credibility this will need to be independent of FAIR, though the Center for Immigration Studies, as we’re calling it, is starting off as a project of FAIR.”165 CIS’s supposed independence from FAIR was a façade. Tanton was intimately involved with its founding and guided its positions from the start. As late as 1994, Tanton’s front group U.S. Inc continued to funnel money to CIS.166 Tanton arranged a lot more than a first grant for CIS—he created it, funded it, and provided its ideology. CIS consistently condemns urban sprawl as a consequence of unchecked population growth through immigration and reproduction.173 To CIS, seemingly every supposed problem in the world can be solved by decreasing the size of the human population. NumbersUSA is open about its mission to reverse American population growth. Its name is meant to conjure fears of too great a number of people in the United States. Its emblem is a ghostly image of blue silhouettes multiplying into the distance.178 Its website includes a population counter, and Beck incessantly warns about the dangers of population growth. Beck and Leon Kolankiewicz wrote a report in 2001 titled, “Forsaking Fundamentals: The Environmental Establishment Abandons U.S. Population Stabilization.” They portrayed a Catholic conspiracy led from the Vatican to halt population-control policies, and cited National Security Study Memorandum 200 (NSSM 200), a long document about the dangers to American national security of population growth in third-world nations.185 The report was endorsed by President Ford,186 but Beck believes that its population-control recommendations were never implemented “because of intense pressure applied by the Vatican and the U.S. Conference of Bishops.”187 Beck’s notion that NSSM 200 was never implemented is fiction and Catholics are his scapegoat. Contact your senators and representatives and urge them to vote for bills which would help stabilize the United States’s population numbers, and to vote against bills that would worsen the problem. Use NumbersUSA.com to send e-faxes to your congressmen for free, to stay informed on all the latest immigration bills in congress, and to find the latest news on the effort to reduce immigration numbers. The radical Weeden Foundation (WF) played no less a prominent role in funding NumbersUSA than it did with FAIR and CIS. NumbersUSA board member Don Weeden, son of Alan Weeden, is also the executive director of WF and had a long career working at Planned Parenthood.195 Between 2001 and 2008 WF granted $180,000 to NumbersUSA196 in addition to the hundreds of thousands of dollars it also donated to other population-control, pro-abortion, environmental, and anti-immigration groups. FAIR, CIS, and NumbersUSA were created and now are largely supported and staffed by radical environmentalist population-control and abortion advocates. Many of those same people and organizations fund and ideologically support abortion, sterilization, and population-control policies. FAIR serves as the activist wing of the movement, while CIS produces studies and research reports that support their position. NumbersUSA makes little effort to hide its advocacy for population control. Beyond the legacies and goals of FAIR, CIS, and NumbersUSA, in recent years they have attempted—in many ways successfully—to broaden their advocacy efforts by establishing ties to leaders, organizations, and elected officials who are otherwise staunch defenders of life. The legislative battles and highly intense public debates over immigration in the mid-2000s served as an opportunity for the population-control movement to whitewash its true agenda. FAIR, CIS, and NumbersUSA have managed to conceal their true intentions enough to be invited to speak at conferences, briefings, and media events alongside pro-life individuals and leaders. For example, former U.S. Representative from Colorado Tom Tancredo and current Representative Steve King (R-IA) are both on record as not just citing, but praising, the work of FAIR, NumbersUSA, and CIS. Another former U.S. Representative, Todd Tiahrt of Kansas, was one of numerous “pro-life” members of Congress who worked with FAIR and/or NumbersUSA to craft immigration-related legislation. Likewise, think tanks and advocacy organizations that describe themselves as pro-family and pro-life have allied with Roy Beck of NumbersUSA, Dan Stein of FAIR, and Mark Krikorian of CIS. This represents such a stark dichotomy that one must, at a minimum, question whether any due diligence was done at all. No civilization has ever sustained a shrinking population and a growing economy for long. Without people there is no economy, and nobody left to value the environment.197 Organizations that would limit population growth through abortion, drugs, sterilization, and other methods are pursuing a radical anti-life agenda that undermines our country, freedom, prosperity, and morality. 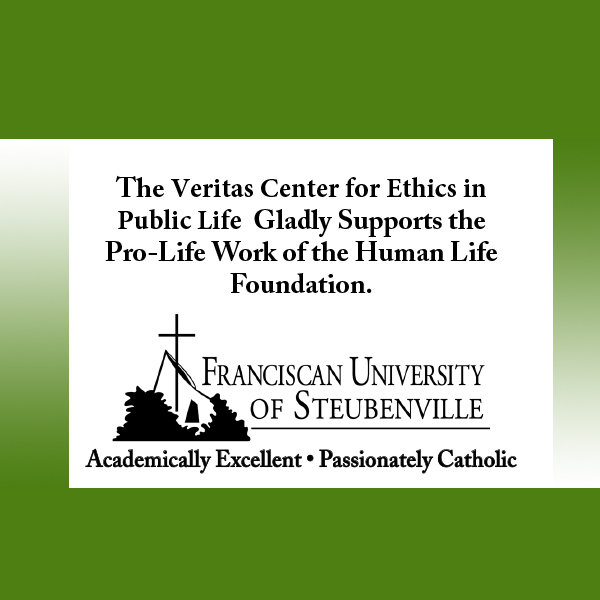 Those who seek to advance the pro-life cause should not allow themselves to be fooled by those whose work is ultimately diametrically opposed to the right to life—the most fundamental of all rights. Regardless of one’s particular views on immigration, pro-life leaders in particular should denounce CIS, FAIR, NumbersUSA, and any other entities that advance the dark cause of population control. 1. Thomas R. Malthus, An essay on the principle of population, Oxford World’s Classics, 1798. Pg. 13. 2. See Edwin Black, War Against the Weak: Eugenics and America’s Campaign to Create a Master Race, Four Walls Eight Windows, 2003. 3. Francis Galton, Inquiries into Human Faculty and its Development, London: Macmillan, 1883. Pg. 199. 4. See Edwin Black, War Against the Weak: Eugenics and America’s Campaign to Create a Master Race, Four Walls Eight Windows, 2003. 5. See Rebecca Messal, “The Long Road of Eugenics: From Rockefeller to Roe v. Wade,” The Human Life Review 30 (4), Fall, 2004, Pg. 33–74. 6. http://www.biodemog.org/, accessed on September 29, 2012. 7. Mary Meehan, “How Eugenics and Population Control Led to Abortion,” Human Life Review, Fall 1998 and Winter 1999, Revised and expanded in 2002 and some minor changes in 2007, available here: http://www.meehanreports.com/how-led.html. Accessed on October 1, 2012. 9. Charles Valenza: “Was Margaret Sanger a Racist?” Family Planning Perspectives, January–February 1985, Pg. 44. 10. Margaret Sanger: “The Eugenic Value of Birth Control Propaganda.” Birth Control Review, October 1921, Pg. 5. 11. Margaret Sanger, Women and the New Race, New York: Truth Publishing Co., 1920, pg. 63. 12. See Margaret Sanger, Women and the New Race, New York: Truth Publishing Co., 1920, http://www.gutenberg.org/cache/epub/8660/pg8660.html. 13. Paul R. Ehrlich, The Population Bomb. Sierra Club/Ballantine Books, 1968. Pg. 138. 14. Mary Meehan, “How Eugenics and Population Control Led to Abortion,” Human Life Review, Fall 1998 and Winter 1999, Revised and expanded in 2002 and some minor changes in 2007, available here: http://www.meehanreports.com/how-led.html. Accessed on October 1, 2012. 15. http://www.jewishworldreview.com/cols/wattenberg042500, accessed on August 17, 2010. 16. Margaret Sanger, “A Plan For Peace.” Birth Control Review, April 1932, Pg. 106. 17. Federation for American Immigration Reform, Annual Report 2001, page. 29. 18. http://www.fairus.org., http://www.cis.org., and https://www.numbersusa.com. 19. “Immigration Reform Marks 25 Years of Uphill Battle,” Tulsa World, October 10, 2004. 20. John F. Rohe, Mary Lou and John Tanton: A Journey into American Conservation. FAIR Horizon Press, Washington DC. 2002. Pg. 35. 23. http://www.johntanton.org/about_john_tanton/john_tanton_resume.html, accessed July 23, 2010. 25. http://www.johntanton.org/about_john_tanton/john_tanton_resume.html, accessed July 23, 2010. 26. http://www.johntanton.org/index.html, accessed July 20, 2010. 29. http://www.johntanton.org/about_john_tanton/john_tanton_resume.html, accessed July 23, 2010. 30. http://www.nytimes.com/2011/04/30/us/30immig.html, accessed May 1, 2011. 31. http://www.johntanton.org/about_john_tanton/john_tanton_resume.html, accessed July 23, 2010. 33. September 29, 1998 and January 6, 1998 memos. 990s for US Inc.
34. John F. Rohe, Mary Lou and John Tanton: A Journey into American Conservation. FAIR Horizon Press, Washington DC. 2002. Pg. 24. 35. August 26, 1991 memo. 36. Memo, May 2000 titled Description of U.S.
38. U.S. Inc. 990s 1996-2004. 39. U.S. Inc. 990s 1997. 40. U.S. Inc. 990s 1998. 41. U.S. Inc. 990s 1994-2008. 42. The researchers of this study did not have access to 990s from prior to 1994, but since FAIR was well established by 1994, it’s likely that most of the money U.S. Inc. gave to them was given prior to 1994. 44. http://www.proenglish.org/newsreleases/TeddyAward.html, accessed August 15, 2010. 46. http://www.proenglish.org/news/mcalpin_moves_to_us.pdf, accessed August 15, 2010. 48. http://c0458192.cdn.cloudfiles.rackspacecloud.com/SPLC_The_Nativist_Lobby.pdf, accessed on July 25, 2010, Page 14. 49. U.S. Inc. 990s 2007. 50. http://cis.org/Edwards-Publications, accessed on August 4, 2010. 51. http://www.cis.org/Edwards?page=1, accessed on August 4, 2010. 52. John F. Rohe, Mary Lou and John Tanton: A Journey into American Conservation. FAIR Horizon Press, Washington DC. 2002. Pg. 37. 55. http://www.ppwnm.org/index.php?id=126, accessed on September 3, 2010. 56. John F. Rohe, Mary Lou and John Tanton: A Journey into American Conservation. FAIR Horizon Press, Washington DC. 2002. 57. “Problems of Overpopulation,” Los Angeles Times, June 16, 1994, available at: http://articles.latimes.com/1994-06-16/local/me-4582_1_fertility-rate-population-growth-population-and-development. Accessed on September 10, 2010. 58. www.adl.org/civil_rights/is_fair_unfair.pdf, accessed on August 25, 2010, Page 5. 59. http://www.fairus.org/site/News2?page=NewsArticle&id=16925&security=1601&news_iv_ctrl=1009, accessed on July 29, 2010. 60. http://www.fairus.org/site/News2?page=NewsArticle&id=16925&security=1601&news_iv_ctrl=1009, accessed on July 29, 2010. 61. http://www.fairus.org/site/News2?page=NewsArticle&id=16925&security=1601&news_iv_ctrl=1009, accessed on July 29, 2010. 62. http://www.fairdebate.org, accessed on July 30, 2010. 63. http://www.fairdebate.org, accessed on July 30, 2010. 64. http://www.fairdebate.org, accessed on July 30, 2010. 65. http://www.npg.org/projects/malthus/ds_remarks.htm, accessed on December 7, 2012. 66. http://www.jewishworldreview.com/cols/wattenberg042500, accessed on August 17, 2010. 67. http://www.npg.org/whatis.html, accessed on August 1, 2010. 68. http://www.npg.org/purpose.html, accessed on August 1, 2010. 69. http://www.npg.org/whatis.html, accessed on August 1, 2010. 70. Planned Parenthood Federation of American, A Tradition of Choice: Planned Parenthood at 75, New York: Planned Parenthood Federation of America, 1991, pp. 10-11 & 15-17. 71. http://www.christianpost.com/article/20080407/planned-parenthood-registers-record-abortions-profits/index.html, accessed on September 3, 2010. 72. http://www.fairus.org/site/PageNavigator/about/board_of_directors/, accessed on July 29, 2010. 73. http://www.plannedparenthood.org/ppmw/coc-sponsors-30308.htm, accessed on August 8, 2010. 74. http://www.thesocialcontract.com/artman2/publish/tsc_20_3/tsc_20_3_collins_epstein.shtml, July 23, 2010. 75. Sarah G. Epstein, 9/15/1988 NYT Letter to the editor. Ms. Epstein is the board secretary for FAIR. 76. http://www.fairus.org/site/PageServer?pagename=research_research52f6?&printer_friendly=1, accessed on July 29, 2010. 77. February 26, 1999 The Associated Press State and Local Wire. “Service on Saturday for philanthropist, champion of human rights.” Dateline, Corpus Christi, TX. 78. http://www.pathfind.org/site/PageServer?pagename=About_Board, accessed on September 2, 2010. 80. American Life League, Daily News Summary, 4/30/08. 81. http://www.pathfind.org/site/PageServer?pagename=About_History, accessed on September 2, 2010. 84. http://www.pathfind.org/site/PageServer?pagename=About_Board, accessed on September 2, 2010. 85. http://panindigan.tripod.com/quinacrine.html, accessed on September 3, 2010. 86. Alix M. Freedman, “Population Bomb: Two Americans Export Chemical Sterilization to the Third World,” Wall Street Journal, June 18, 1998, A-1 ff., A-10. 87. Alix M. Freedman, “Population Bomb: Two Americans Export Chemical Sterilization to the Third World,” Wall Street Journal, June 18, 1998, A-1 ff., A-10. 88. http://isafonline.org/qs_history_potential.php, accessed on September 24, 2010. 89. http://www.thesocialcontract.com/artman2/publish/tsc_20_3/tsc_20_3_collins_epstein.shtml, accessed on October 3, 2010. 90. http://isafonline.org/qs_history_potential.php, accessed on August 23, 2010. 91. Nirmala George, “Govt drags feet on quinacrine threat,” The Indian Express, July, 25, 1998. 92. Freedman, Alix M., “Quinacrine’s vast appeal, considerable dangers,” Newsday 6/30/1998. 93. American Journalism Review, June 1999. 94. http://populationcommunication.org/director.html, accessed on September 3, 2010. 95. http://www.populationmedia.org/who/program-advisory-board/, accessed on September 2, 2010. 96. http://www.populationmedia.org/who/program-advisory-board/, accessed on September 2, 2010. 97. http://www.populationmedia.org/who/program-advisory-board/, accessed on September 2, 2010. 98. http://www.imdb.com/title/tt0795957/, accessed on September 8, 2010. 99. http://www.novacancythemovie.com/, accessed October 3, 2010. 100. http://www.pathfind.org/site/PageServer?pagename=About_Board, accessed on September 2, 2010. 101. http://www.guttmacher.org/about/history.html, accessed August 20, 2010. 102. Angela Franks, Margaret Sanger’s Eugenic Legacy, McFarland & Company, 2005, Pg. 76. 103. http://www.guttmacher.org/about/mission.html, accessed August 20, 2010. 104. http://www.ipas.org/What_We_Do.aspx, accessed on September 14, 2010. 105. James T. Butchaell, Abortion Parley, Kansas City Andres and McMeel, 1980, pg. 315. 106. http://www.ipas.org/Publications/Index.aspx, accessed on September 13, 2010. 107. http://www.ipas.org/Publications/Manual_vacuum_aspiration_Abortion_using_manual_vacuum_aspiration_MVA_in_the_first_3_months_of_pregnancy.aspx, accessed on September 14, 2010. 108. http://www.thesocialcontract.com/artman2/publish/tsc_20_3/tsc_20_3_collins_epstein.shtml, accessed on October 1, 2010. 109. Robert W. Gillespie Interviewed by Deborah McFarlane, “Population and Reproductive Health Oral History Project,” Sophia Smith Collection, Smith College, Northampton, MA June 25–26, 2004 Pasadena, California. Pg. 50. 110. Robert W. Gillespie Interviewed by Deborah McFarlane, “Population and Reproductive Health Oral History Project,” Sophia Smith Collection, Smith College, Northampton, MA June 25–26, 2004 Pasadena, California. Pg. 142. 111. Robert W. Gillespie Interviewed by Deborah McFarlane, “Population and Reproductive Health Oral History Project,” Sophia Smith Collection, Smith College, Northampton, MA June 25–26, 2004 Pasadena, California. Pg. 50. 112. Robert W. Gillespie Interviewed by Deborah McFarlane, “Population and Reproductive Health Oral History Project,” Sophia Smith Collection, Smith College, Northampton, MA June 25–26, 2004 Pasadena, California. Pg. 50. 113. Robert W. Gillespie Interviewed by Deborah McFarlane, “Population and Reproductive Health Oral History Project,” Sophia Smith Collection, Smith College, Northampton, MA June 25–26, 2004 Pasadena, California. Pg. 49. 114. http://www.populationinstitute.org/about/vision/, accessed on September 17, 2010. 115. http://www.populationinstitute.org/about/advisors/, accessed on September 17, 2010. 116. http://www.populationinstitute.org/about/advisors/, accessed on September 17, 2010. 117. http://www.populationinstitute.org/external/files/Final_2009_Annual_Report.pdf, accessed on September 17, 2010. 118. Joan Collins, The San Francisco Chronicle, July 3, 1993. News, Pg. C10; Obituaries. 119. Joan Collins, The San Francisco Chronicle, July 3, 1993. News, Pg. C10; Obituaries. 120. Joan Collins, The San Francisco Chronicle, July 3, 1993. News, Pg. C10; Obituaries. 121. http://www.fhi.org/en/AboutFHI/History_Contribution.htm, accessed on September 13, 2010. 122. http://www.capsweb.org/content.php?id=34&menu_id=7&menu_item_id=59#, accessed on September 14, 2010. 123. http://www.capsweb.org/content.php?id=33&menu_id=7&menu_item_id=58, accessed on September 14, 2010. 124. http://www.capsweb.org/content.php?id=56&menu_id=7&menu_item_id=60, accessed on September 14, 2010. 125. http://www.capsweb.org/content.php?id=1&menu_id=3&menu_item_id=12, accessed on September 14, 2010. 126. Lisa Hoivik, “Even in California, 24 Million Is a Crowd,” Monterrey Herald, June 9, 2002. Pg. F1. 127. CAPS Newsletter, Summer 1998 Edition. 128. http://www.capsweb.org/content.php?id=5&menu_id=3&menu_item_id=14, accessed on September 14, 2010. 129. Simon, Julian L., The Ultimate Resource 2, Princeton University Press, Princeton New Jersey. 1996. 130. http://www.capsweb.org/content.php?id=5&menu_id=3&menu_item_id=14, accessed on September 14, 2010. 131. http://www.fairus.org/site/PageNavigator/about/board_of_directors/, accessed on July 29, 2010. 132. http://www.time.com/time/magazine/article/0,9171,952398,00.html, accessed on September 16, 2010. 133. http://www.nationalreview.com/corner/59006/richard-lamm-roe-v-wade-may-be-wrong/dave-kopel, accessed August 13, 2010. 134. http://www.capsweb.org/content.php?id=5&menu_id=3&menu_item_id=14, accessed on September 14, 2010. 135. http://www.fairus.org/site/PageNavigator/about/board_of_directors/, accessed on July 29, 2010. 136. http://www.fairus.org/site/PageNavigator/about/board_of_directors/, accessed on July 29, 2010. 137. http://www.flsuspop.org/, accessed on September 7, 2010. 138. “Adios, Abortionist: Joyce Tarnow is history,” July 15, 2004 Thursday, New Times Broward-Palm Beach. 139. http://www.fairus.org/site/PageNavigator/about/board_of_directors/, accessed on July 29, 2010. 140. http://www.fairus.org/site/PageNavigator/about/board_of_directors/, accessed on July 29, 2010. 141. http://www.weedenfdn.org/grants09.htm, accessed on September 22, 2010. 142. NYT Letter to the Editor, May 13, 1996. 143. http://www.weedenfdn.org/trial.html, accessed on September 22, 2010. 144. http://www.weedenfdn.org/programs.html, accessed on September 22, 2010. 145. http://www.weedenfdn.org/grants09.htm, accessed on September 22, 2010. 146. http://www.weedenfdn.org/grants09.htm, accessed on September 22, 2010. 147. http://www.weedenfdn.org/grants06.htm, accessed on September 22, 2010. 148. http://www.weedenfdn.org/grants06.htm, accessed on September 22, 2010. 149. http://www.asustainableusa.org/, accessed on September 23, 2010. 150. http://www.asustainableusa.org/articles_studies.html, accessed on September 23, 2010. 151. http://www.weedenfdn.org/grants05.htm, http://www.weedenfdn.org/grants06.htm, http://www.weedenfdn.org/grants07.htm, accessed on September 22, 2010. 152. http://www.asustainableusa.org/index.html, accessed on September 23, 2010. 153. http://www.fairus.org/site/PageNavigator/about/board_of_directors.html, accessed on July 29, 2010. 154. http://www.cis.org/About, accessed on August 29, 2010. 155. FEC, Individual Contributions for Henry M. Buhl. 156. February 26, 1999 The Associated Press State and Local Wire. “Service on Saturday for philanthropist, champion of human rights.” Dateline, Corpus Christi, TX. 158. FEC, Individual Contributions for Robert Zaitlin, MD. 159. FEC, Individual Contributions for Dorothy R. Blair. 160. “FAIR Says Goodbye to a Great Friend: Conservationist, Philanthropist Dorothy Blair,” PR Newswire, May 30, 2008 Friday. 163. http://www.splcenter.org/get-informed/intelligence-report/browse-all-issues/2002/summer/the-puppeteer/witan-memo-i, accessed on August 21, 2010. 164. Question and Answer of Mark Krikorian by Alex Nowrasteh at CPAC. February 2010. 166. U.S. Inc. 990 for 1994. 167. http://www.cis.org/EnvironmentalArgument, accessed on August 29, 2010. 168. http://www.cis.org/articles/2001/forsaking/toc.html, accessed on August 29, 2010. 169. http://www.cis.org/articles/1989/simcox4-19-89.html, accessed on August 29, 2010. 170. http://www.cis.org/GreenhouseGasEmissionsVideo, accessed on August 29, 2010. 171. http://www.cis.org/articles/1997/sac11-28-97.html, accessed on August 29, 2010. 172. http://www.cis.org/articles/1997/sac11-28-97.html, accessed on August 29, 2010. 173. http://www.cis.org/articles/2003/SprawlExSumm82603.html, accessed on August 29, 2010. 174. http://rightwingnews.com/mt331/2009/04/an_interview_with_roy_beck_hea.php, accessed on August 23, 2010. 175. http://www.numbersusa.com/content/learn/about/roy-beck-executive-director.html, accessed on August 24, 2010. 176. U.S. Inc 990s 1996-2002. 177. U.S. Inc 990s 1996 an 1998. 178. https://www.numbersusa.com/content/, accessed on August 24, 2010. 179. Marriott, Alexander (April 21, 2004). “This Earth Day Celebrate Vladimir Lenin’s Birthday!”. Capitalism Magazine. http://www.capmag.com/article.asp?ID=3382, accessed on November 19, 2010. 180. www.numbersusa.com/content/node/5546, accessed on August 24, 2010. 181. www.numbersusa.com/content/node/5546, accessed on August 24, 2010. 182. www.numbersusa.com/content/node/5546, accessed on August 24, 2010. 183. http://www.numbersusa.com/content/learn/about/what-numbersusa-is-all-about.html, accessed on August 24, 2010. 184. http://www.numbersusa.com/content/learn/about-us/no-immigrant-bashing/no-immigrant-bashing.html, accessed on August 24, 2010. 185. National Security Study Memorandum (NSSM200), “Implications of Worldwide Population Growth For U.S. Security and Overseas Interests (The Kissinger Report).” December 10, 1974. Classified by Harry C. Blaney, III. Declassified/Released on 7/3/89. 186. National Security Decision Memorandum 314, November 26, 1975, available here: http://www.fordlibrarymuseum.gov/library/document/0310/nsdm314.pdf, accessed on October 3, 2012. 187. www.cis.org/articles/2001/forsaking/why.html, accessed on August 29, 2010. 188. www.cis.org/articles/2001/forsaking/why.html, accessed on August 29, 2010. 189. www.cis.org/articles/2001/forsaking/why.html, accessed on August 29, 2010. 190. http://www.numbersusa.com/content/files/pdf/RoyBeckTestimony060309_1.pdf, accessed on August 24, 2010. 191. http://www.numbersusa.com/content/nusablog/cbreiter2/august-10-2009/thinking-about-1-billion.html, accessed on August 24, 2010. 192. http://www.numbersusa.com/content/files/pdf/RoyBeckTestimony060309_1.pdf, accessed on August 24, 2010. 193. http://www.numbersusa.com/content/nusablog/beckr/december-7-2009/biggest-cheapest-way-control-us-carbon-emissions-our-new-interactive-, accessed on August 24, 2010. 194. http://www.numbersusa.com/content/learn/issues/environment/role-us-population-stabilization-beginni.html, accessed on August 24, 2010. 195. http://cis.org/taxonomy/term/258, accessed on October 3, 2012. 196. http://www.weedenfdn.org/grants09.htm, accessed on September 22, 2010. 197. Demographic Winter: The Decline of the Human Family, SRB Documentary, LLC. Mario H. Lopez is president of the Hispanic Leadership Fund, a national advocacy organization that promotes free enterprise, limited government, and individual liberty. 20,967 people have visited this page. 2 have visited this page today. Excellent overview. I jut discovered the history of these groups this week, although I have been familiar with Numbers USA for years. Must admit, I never looked the site over carefully to see what they were really all about. I am spreading the word. Your real agenda is open borders, at least for your fellow Hispanics. If endless human population growth is so good, how come people all over the world are desperately trying to escape places with the highest population growth? And guess where they’re trying to escape to — places where humans stopped their population growth. Thank you for compiling this article and research. It’s unbelievably tragic that eugenics still persists in America, though disguised as seemingly harmless political movements. Thanks for the article and the footnotes that go with it. I only thought I had done my research on these Tanton groups but you went into so much more detail. Comment just above regarding the eugenics is so true. The odious stench of the Eugenics Movement is still playing a large roll in the excuses for their obscene programs. Their unscientific ideas, fears, preferences and desires really rest in their obsession to control other people. Reply to Pat Kittle’s comment that “people all over the world are desperately trying to escape places with the highest population growth”: Actually, Hispanic countries, from which most immigrants come, are about as densely populated as the U.S., and they are coming mostly to states like California that are the most densely populated! Well written but I see a major contridiction: the left is the primary supporter of the groups you mention, the political environmental movement, and open borders. The concerns most conservatives have with immigration and open borders is the economic, health, and political challenges we will face. As a nation we have the right to establish our laws and enforce those laws. Our borders are central to do so. Unlimited and unchecked immigration, regardless of who is hijacking and politicizing the situation is not safe or sustainable. Efforts should focus on fixing the corrupt governments and other challenges countries face versus shifting the burden to “wealthy” nations.